"We want to take the atmosphere back to its pre-industrial chemistry as quickly as possible. For that, we have biocomposites." We screen grabbed these images off earth.nullschool.net when we were looking at Tropical Storm Cindy on June 19. 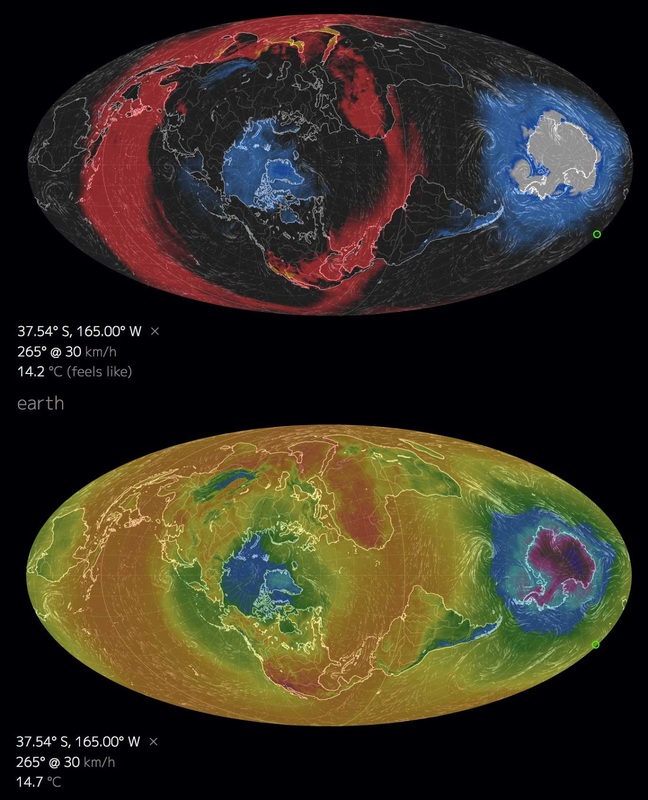 The top image shows Earth’s oceans. Red is hotter than normal. Blue is colder than normal. The Polar seas are colder than usual because of all the fresh ice water from melting glaciers and ice shelves. The lower image is the same moment, looking at the land masses too. There are simultaneous heat waves in North America, S. Europe, Africa, the Middle East, India and parts of China, setting temperature records for the date, all the way around. Kathleen Draper is US Director at Ithaka Institute for Carbon Intelligence. In addition to editing The Biochar Journal, the leading on-line biochar magazine, Draper researches carbon intelligent cities; climate farming: nutrient recycling and GHG reduction in livestock farming; biochar characterization and optimal usage recommendations; closed loop biochar production and use modeling; ecosystem remediation; land management and landscape design. She has worked with Cornell University to model the Triple Bottom Line impact of Combined Heat & Biochar unit at the urban aquaponics greenhouse in Central New York. Working with the Rochester Institute of Technology, she developed the Filtration to Fertilizer strategy using biochar first to harvest nutrients in effluents from food and beverage industries — including rentals to tofu shops — and then sales of nutrient-saturated char as a soil amendment/fertilizer for greenhouse crops. She is also working with RIT on the use of biochar in sustainable building materials, packaging materials, filtration media for the food industry and heat recovery options for the Kon-Tiki kiln technology. Last week I visited a small slice of heaven; The Farm in Summertown, TN. The Farm is [one of] the oldest intentional communit[ies] in the country and has been home to Albert Bates, author of The Biochar Solution amongst other books, for decades. Biochar experimentation at The Farm spans the gamut from soil amendment to building material to humanure additive which then moves over to worm bins for some final processing. Just walking around the various natural buildings and permaculture filled ambiance was enough to inspire, but actually getting my hands dirty making biochar plasters, cement mixes, bricks, filtration devices with other like-minded folks was soul boosting. We visited a nearby farmer that feeds his livestock (pigs, goats, poultry) an earthy blend of biochar mixed with lightly fermented whey and grains which they gobbled up greedily. We used rather grand outhouses that mitigated odors and reduced nutrient leaching with a blend of biochar and sawdust. And we shared stories of our mutual journeys, lessons learned and best practices along the biochar continuum. What I really enjoyed about this experience, especially compared to attending biochar and other related conferences which tend to pack an enormous amount of information into back-to-back 15–20 minute sessions all day long for 3 days, was the more relaxed pace, the ability to get to know everyone there and hear about their own particular biochar experiences. 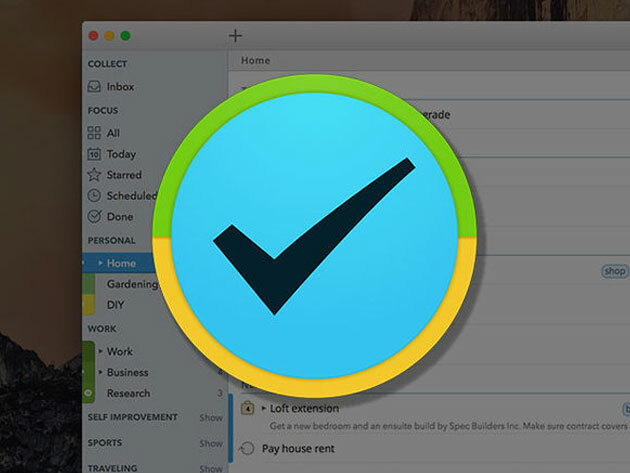 The other fun part was leveraging everyone’s tools and backgrounds to take certain ideas further — such as the chardboard paper which I wrote about nearly 3 years ago. 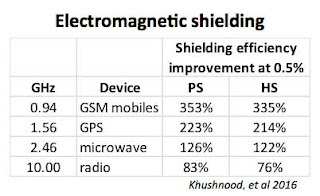 Albert had a contraption that was able to measure the electromagnetic shielding of the chardboard which was pretty substantial, roughly 90% reduction! For those of you that have the time and desire to experience truly sustainable living, I highly recommend a visit to The Farm. Staying in the Fairy House, a cozy earthbag building with a living roof provides the quietest sleep you could ever dream of…. We liked having Draper here for the workshop but can’t let her escape with just this short report to the public domain. She and Dr. Hans-Peter Schmidt at the Ithaka Institute in Switzerland brought to our course a wealth of information on the practical applications for biochar when removed from the agricultural sphere. They are co-authors, with Ute Scheub and Hailko Pieplow, of Terra Preta: How the World’s Most Fertile Soil Can Help Reverse Climate Change and Reduce World Hunger. Firstly, there is a global problem with concrete and it is getting bigger. The most important part of concrete is Portland cement, the binding agent made from pulverized limestone (calcium oxide) and clay (silicon oxide), heated together at high temperature (2700F). The discovery and refinement of Portland is a cautionary modern tale of the intersection of materials and manufacturing at the dawn of the fossil fuel era. The Romans and Chinese had millennia ago discovered that gypsum and lime could be mixed with pieces of rock, sand, ceramics or rubble to form a hard material that would hold up to weather, or even set up underwater for dams and bridgework. Roman concrete, developed from 150 BCE, is durable due to its incorporation of volcanic ash and cinders (pozzolana), which prevents cracks from spreading. After the famous fire of 64AD, Nero rebuilt much of Rome with brick-faced concrete. 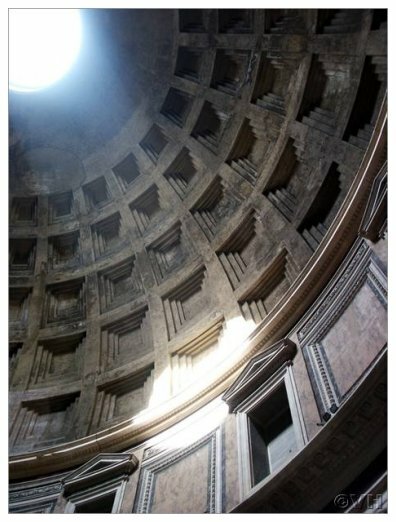 The Pantheon in Rome, with its 142-foot coffered dome and oculus, is an example of Roman concrete construction still standing after 2000 years. Lime is a powder that wants to be a rock. It has a million-year memory. Formed as the aggregated dust of seashells on an ancient sea-bed, limestone (CaCO3) gets unpacked from its bed in some quarry, hauled by truck to a kiln, and baked at >1500°F. 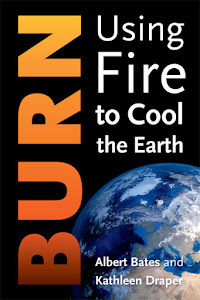 The burn drives off CO2 and leaves behind a powder (CaO), called burnt lime or quicklime. Quicklime (calcium oxide) is a white, caustic, alkaline, crystalline solid at room temperature, but feeling an urge to go back to rock, it will draw CO2 from the air unless slaked with water. Slaked lime is what the Romans and Chinese used for mortars and plasters. It is what Michelangelo in 1511 spread across the ceiling of the Sistine Chapel and painted the image of God into. In the 1820s scientists learned that when heated to >4,000°F (2,200°C) it emits an intense glow. That feature was used broadly in theater productions before electric lighting — limelight. When limestone is kilned to make lime for mortar or cement 1.8 tons produces 1 ton of CaO. The missing 0.8 goes to the atmosphere as CO2 and a few trace impurities. China is by far the world’s largest producer, burning enough rock to produce around 170 million tons per year. The United States is the next largest, with around 20 million. Worldwide, lime kilns send about 225 million ton of CO2 to the atmosphere. File that number a way for a moment. If you add an atom of carbon to quicklime in the presence of oxygen, you get limestone and water. That limestone molecule can take a much-deserved rest. It has now completed a full revolution on the wheel of life and rebirth. Suppose that, instead of leaving it to chance, we supply lime with carbon? One easy way to do that would be to mix biochar with cement and let it harden in the open air. You could replace sand in concrete or mortar. This is convenient because construction-grade sand is getting harder to come by and is experiencing rising demand (and price). • Indoor pollutant control (dust, pollen, chemicals). • The workability of mortar decreases as the percentage of biochar increases. • 5–10% biochar replacement is similar to 20% replacement with fly ash (the toxic residue of cement making and other industries). • Up to 5% biochar shows an increase in compression strength. A study by Restuccia et al, Promising low cost carbon based materials to improve strength & toughness in cement composites (2016) tested the mechanical properties of cement using biochar made from coffee powder (unroasted discards) and hazelnut shells. • All char additives outperformed control bending strength, compression & fracture energy. • Coffee powder did better on compression tests. 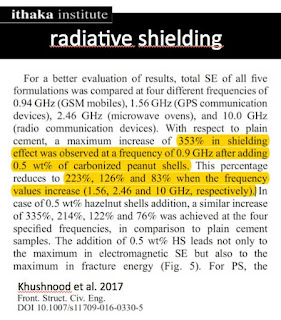 • Hazelnut shells did better on flexural (MOR) and fracture energy tests. • Coffee powder has higher silicates which could work as an accelerator helping to speed up the hydration process. It stabilized at 7 days. 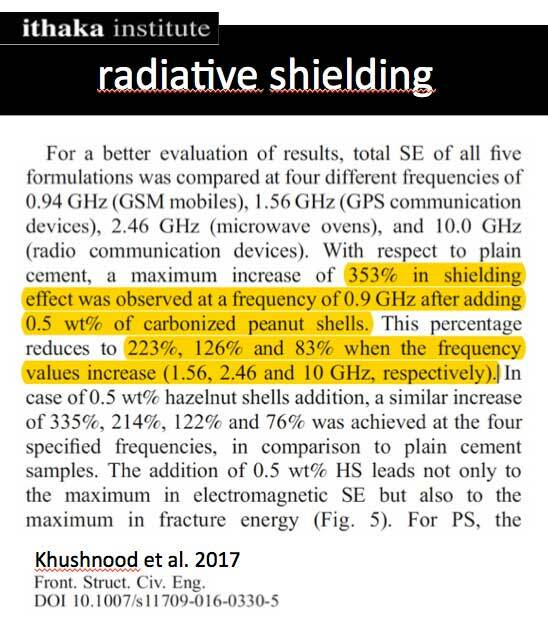 A study by Khushnood et al, Carbonized nano/microparticles for enhanced mechanical properties & electromagnetic interference shielding of cementitious materials (2016) tested mechanical & shielding properties of cement using peanut shells and hazelnut shells at 6 different concentrations. 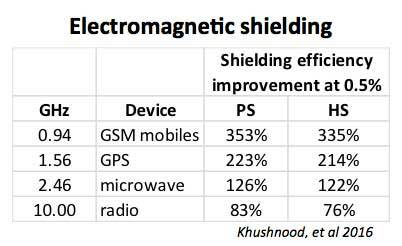 • All char additives outperformed flexural strength of control (2.96 MOR). • Hazelnut shells optimized at .25% (5.44 MOR). • Peanut shells optimized at .25% (5.43 MOR). • Fine aggregates increased fracture toughness. Does char-crete remove CO2 from the atmosphere? Not directly, although using sources like peanut shells and coffeebean discards that would otherwise go back to the atmosphere as CO2 or CH4 interrupts these (natural) emissions and entombs them for a very long time. However, char-crete does remove other greenhouse gases directly. A study by Tommaso et al, NOx Adsorption, Fire Resistance and CO2Sequestration of High Performance, High Durability Concrete Containing Activated Carbon (2016) found dramatically decreased levels of NOx (-66%) in addition to fire resistance. Hans-Peter Schmidt points to concrete fire resistance as more important than most people realize. In the 1999 tragedy on the autobahn through Mont Blanc, 39 people died when a Belgian transport truck carrying flour and margarine caught fire in the tunnel. The fire burned for 53 hours and reached temperatures of 1,000 °C (1,830 °F), mainly because of the margarine. 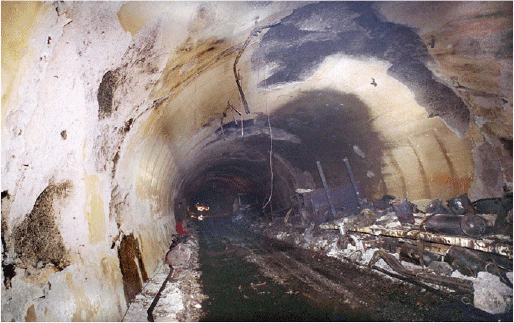 While it is unlikely biochar in tunnel cements or plasters could have filtered air quickly enough to save the lives of those who suffocated from the toxic smoke, we can at least say that the repairs to the tunnel afterwards would have been easier had fire not damaged the concrete of the tunnel. If just one percent of the sand going into the 25 billion tons of new concrete each year were replaced with biochar, 250 million tons of biochar would be sequestered. With a carbon content of 82–98 percent, that biochar is the CO2 equivalent of 738- 882 million tons per year (205–245 MtC). At present rates of emissions, we’d need to sequester 5.6 billion tons of carbon (GtC) per year just to get to carbon neutrality, 25 times more than this example. Alternatively, the biochar industry could raise its ambition and replace 25 percent of construction sand worldwide with char-crete. Sources of unregulated waste biomass now in the process of becoming greenhouse gases on their own are literally as vast as the sands of the Ganges. In many places, they will pay you to take them. Of course, our goal with biochar is not neutrality but drawdown. We want to take the atmosphere back to its pre-industrial state as quickly as possible. For that, we have biocomposites. A “composite” is when two or more different materials are combined together to create a superior and unique material. The prefix, “bio,” means that the composite takes natural fibers including wood or non-wood (e.g. leaves and grasses) and blends them with a matrix (binder) made from either renewable or non-renewable sources (lime, clay, plastics, old tires). Zhao et al evaluated biochar’s impact on hot-mix asphalt when compared to carbon black and carbon fiber (Lab Investigation of Biochar-modified Asphalt Mixture, 2014). Switchgrass biochar was blended at 10% by weight of the asphalt. The study found that bending strength in asphalt normally decreases in temps ranging from 300C — 500C, then increases above 500C, but biochar reduces that temperature susceptibility in asphalt binders. Biochar also showed the highest rutting resistance, meaning it was less often to need replacement because of damage. 1.6 billion tons of asphalt is poured every year. At 10 percent biochar, that industry would use 160 million tons, or 89 MtC. It is still a long way from the 5.6 GtC we need for net neutrality, never mind legacy greenhouse gas drawdown. • Biochar additions showed improved thermal properties. All this academic research is good, but it hardly matters until it gets out of the classroom and laboratory. 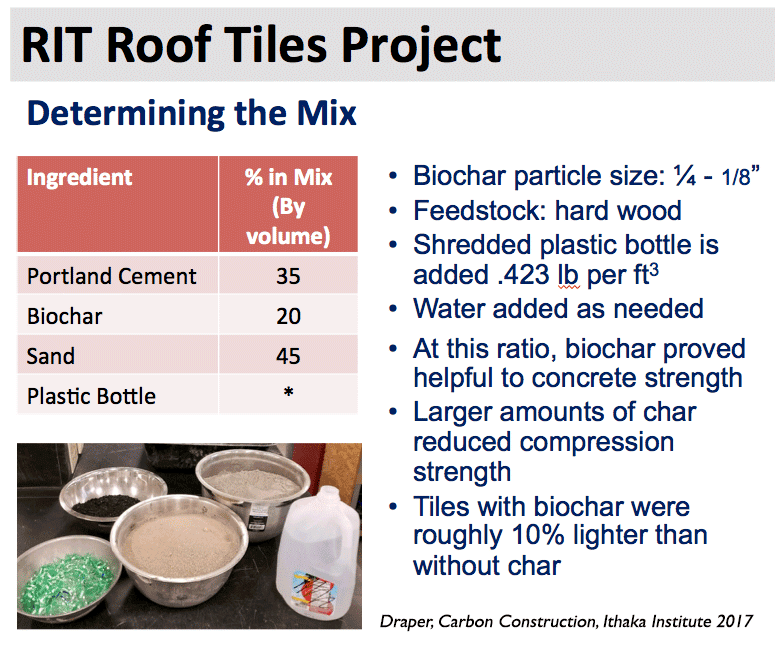 This is why Schmidt was in Nepal making kilns and showing biochars properties to the homeless after the earthquake in April, 2015, and why Draper is working with engineering students from RIT to design biochar concrete roof tiles in Nicaragua. 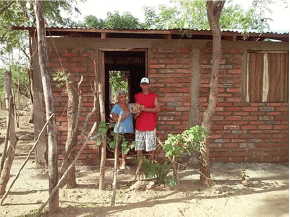 Their goal in Nicaragua: replace the current metal roofing with something that could be manufactured locally, at low cost, hold up in heavy sunlight, keep out the torrential rains and deter animal intruders. The group made a lightweight aggregate of biochar. Their method: mix all dry ingredients, add water, blend thoroughly, pour into flat tile mold, vibrate to remove air bubbles (an electric sander works well), transfer flat tile to curved tile mold (using a plastic sheet), allow 2 weeks to cure. During our workshop here at The Farm last week we made char-crete with various biochar concentrations. We made composites by melting styrofoam and soy-foam packing peanuts and the kinds of clamshell containers they use for take-out in restaurants (and typically wind up in rivers or the ocean). We made chardobe brick and compressed CINVA ram brick. We made grout for a tile bench. These exercises were a tiny drop in the ocean of what is required to remove carbon from the atmosphere, but they showed the potential. 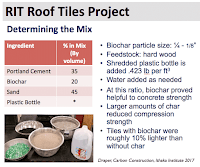 By melting extruded polystyrene foam packing peanuts and clamshell containers — (C8H8)n — in an acetone bath — (CH3)2CO — and adding biochar until it stiffened, we made a char-tile that is light, structural, fracture-resistant, and can be molded to any shape. It could be kitchen tiles, surfboards, iphones, boats or biodomes. Reversing climate change may not be as difficult or dangerous as many imagine. The only hitch in this scenario is that paved roads and monumental (concrete and steel) architecture are manifestations of peaking civilizations — arriving with times of high Energy Return on Investment (EROI), typically in double digits for firewood, slaves or whales, and triple in the case of light sweet crude. Pyramids and paved roads do not get built in the trough that follows civilizational overshoot and collapse (forest destruction, slave revolt, whale extinction and fracking). 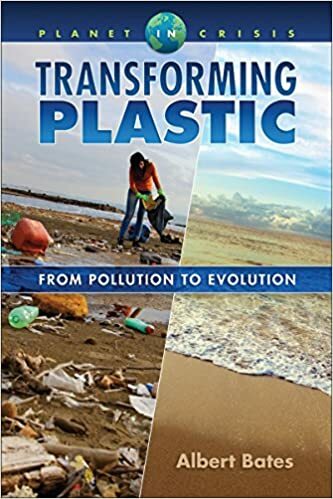 As we return to the circular economy that pre-existed the Ponzi, we may discover in wastes — think of the oceans of discarded plastics — a new source of wealth, and building materials, we can barely imagine. 1.6 trillion tons of asphalt is poured every year. Wikipedia sources suggest this number should be billion, not trillion. As to the larger issue of using biochar to sequester carbon; I think it's great. The easiest thing to do would be to just add it to arable soil. The hard part is finding enough biomass and processing it through retorts. Carbon neutrality would require the processing of 20 billion tons of wood, about 500 million truckloads worth. Waste biomass for biochar is a nearly insurmountable opportunity. 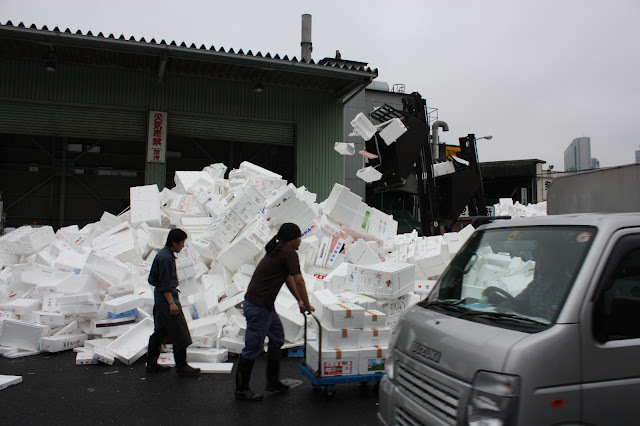 Paper waste in just the USA is 40% of total waste, about 72 million tons per year. Globally, pulp mill woody wastes that are suitable for biochar are about 30 million tons. There are billions of wood pallets circulating through the global supply chain at the moment (2 billion just in the US). A small number will be recycled but the rest are destined for the atmosphere unless diverted. Unused global sawmill waste is at least comparable. If you are making char-crete or biocomposites, not food, in the United States over 290 million car tires are discarded annually, each of which is potentially 14–56% char. China has nearly double the car production of the US, so likely double the amount of discarded tires. And then there are India, Asia, Australia, Europe, Africa. There are about one billion cars and light trucks on the road world-wide. Are we getting close to 20 billion tons of wood equivalent yet? If not, we could uncork the really big source — municipal wastes. Indian cities alone generate more than 100 million tons of solid waste each year. The US generates 250 million tons. India also burns 500 million tons of crop residue, and China roughly 4 times more. 136 million tons of building-related construction and demolition waste was generated in the United States in 1996, and 7.6 billion tons of industrial solid waste. Because of the apples and oranges problem in this kind of data it is difficult to say whether and when we will run out of wastes and have to harvest growing biomass in order to achieve drawdown, but for at least the next few decades, we have plenty of feedstocks to work with before it comes to that. Thanks for the continuing snippets about the highly fractalizing field of biochar. The multifaceted biochar cascade continues to gush. 1. Do you have any details you can share about the "earthy blend of biochar" used to feed the poultry--like size of biochar and how it is prepared. "We visited a nearby farmer that feeds his livestock (pigs, goats, poultry) an earthy blend of biochar mixed with lightly fermented whey and grains which they gobbled up greedily." 2. Also, I would appreciate details on the cover material mix for compo(o)st/dry/soil toilet at The Farm. The ingredients of my cover material are (in decreasing order by volume): sawdust (sometimes from various sources), dried and pulverized clay (as our soils are mostly sandy), crushed (fairly finely) biochar, dried and crushed eggshells and a smidgen of wood ashes. "We used rather grand outhouses that mitigated odors and reduced nutrient leaching with a blend of biochar and sawdust." 3. Can you say anything more about the vermicomposting after the humanure sits. Why through the vermicompost and what is this humanure additive. *NB: Read whole sentence and paragraph before sending out this question. "...humanure additive which then moves over to worm bins for some final processing." Comments are moderated and there may be a delay depending on my internet access. Your cover material is similar to ours. Hadn't occurred to me to add the crushed eggshells but I am going to start doing that now. This is a further stage that processes out any lingering pathogens in the manure. Worm gut bacteria are a universal disinfectant. One of the most pernicious pathogens in humanure are helminths (parasite worm eggs), which are destroyed in the worm bin. Thanks for the excellent questions. The article is serendipitous for me especially, as I've been preparing a presentation on concrete & geopolymers for my local transition group, Transition Winnipeg. As I take on various topics to research, I'm finding that biochar can be fit into so many different applications - I'm including it in a workshop on humanure, and also on clay in appropriate technology. I was thinking to try out biochar as a aggregate for concrete when I saw this article, so I found the information here to be really valuable. 1) I think I saw somewhere that you were mixing lime and biochar as a mortar. If so, is this just used like regular lime mortar, pasting stone & brick together? Also, is there net carbon sequestration in this method, beyond the carbonation of hydrated lime that would have taken place drawing in CO2? I'm thinking that the char in the mortar might include a lot more carbon than just what the calcium hydroxide would take in from the air? 2) As I understand it, the lime in Portland Cement doesn't carbonate like lime mortar, so I'm thinking that any biochar added as an aggregate is a drawdown of carbon from the atmosphere? 3) Do you know if anyone is working on including biochar to geopolymer concrete (not sure if that term has more than one meaning - I'm refering to cements that use alkalais to activate alumino-silicate materials instead of using lime)? Thanks again for the article and your continued work - your presentations are my favorite in presenting actionable pathways for us to deal with the problems that we are facing. Hi Daniel. Glad you liked it. I've become very excited at the prospect that we can do an end-run around the USDA and the inherent conservatism of farmers worldwide by using biochar for roads, buildings, etc. Potentially a much faster route to drawdown. Business as Usual puts civilization on a track to 800 ppm CO2 this century. The INDCs relied upon by the Paris Agreement will only carve that back to 700 ppm. 700-800 ppm implies a global warming of 12-15 degrees at equilibrium, which is far from the 2 degree target, itself a catastrophe. 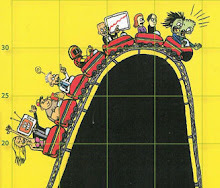 So we need fast track drawdown strategies and you are onto a big one. Yes, just like regular lime mortar. Yes, it net sequesters because of the biochar but would need to add caveats: it depends. 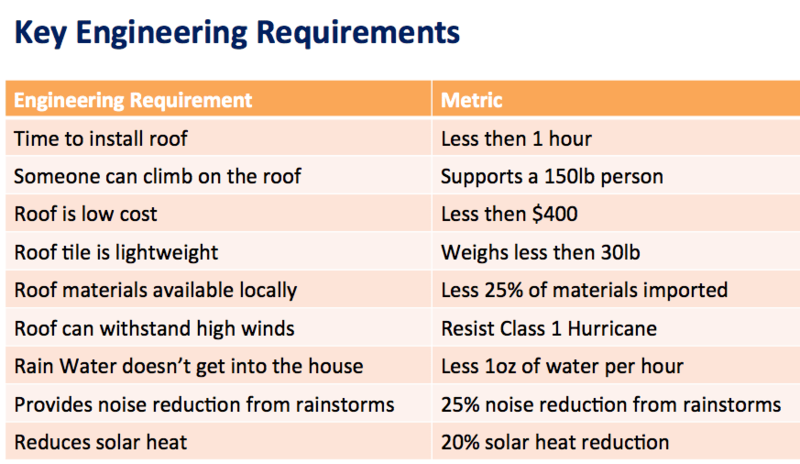 What is the life-cycle energy costing for the lime? How far did it travel and by what means? What fueled the kiln and what was the lifecycle impact of that fuel. So it gets complicated. The same questions should be asked of how the biochar was pyrolized. But you are correct - this is a carbonated mortar. You can pack a LOT of carbon into that mortar, much more than needed to stabilize the lime into limestone. That carbon is recalcitrant, not labile, so if and when the wall comes down and the bricks waste away, it will come to reside in the earth, not the sky. I am out of my depth on Portland's carbon reactions but will try to learn more about that. Yes, biochar as an aggregate withholds it permanently. Yes. Dean Farago is working on this. He has come up with some fascinating geopolymers that can fireproof buildings merely by being painted on the walls and ceilings. Kathleen Draper and I have a book in progress for Chelsea Green, Carbon Cascades, that will draw many more of these threads together. 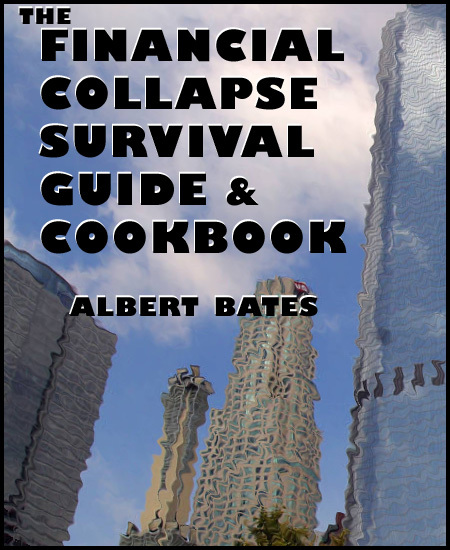 Thanks Albert - harnessing the inherent conservatism of farmers worldwide is definitely a hopeful prospect. Can't wait for the Carbon Cascades book! I did a few trial batches of geopolymer concrete with biochar as aggregate - at 15% of aggregate it seemed to do well - I don't have the ability to do any engineering tests on it, but it's definitely more lightweight and feels just as hard. Plus, it has that charcoal-black colour that adds to it's 'cool' factor as a demonstration piece. Along the lines of cool things & fashionable trends - one thing I would like like to do by next summer is come up with some sort of backyard brick biochar firepit/bbq, that people in the suburbs could have in their backyards. So far I've only made little biochar stoves out of thermoses, but I think that if people could have a nice-looking solid unit that they could grill steaks on, or just to sit around the fire on summer nights, and then could show their guests the biochar they're making, that might spread the word quite effectively. Especially if there was an easy quenching method - I was thinking some sort of cast iron pan in the bottom with a metal funnel out the side, so that it could be steam quenched like the kon-tiki kilns. Also something easy nearby for crushing the char before putting it in their compost bin - I was thinking one of those tamping tools with a cast iron plate, that people use to compact the ground before pouring concrete, in some sort of mostly closed vessel, something like a the old fashioned butter churners with the wooden handle sticking out the top. One question - in a recent talk of yours that was posted to youtube, you had a slide with various drawdown methods on a grid, comparing effectiveness, accessibility and safety: does that chart exist anywhere online? 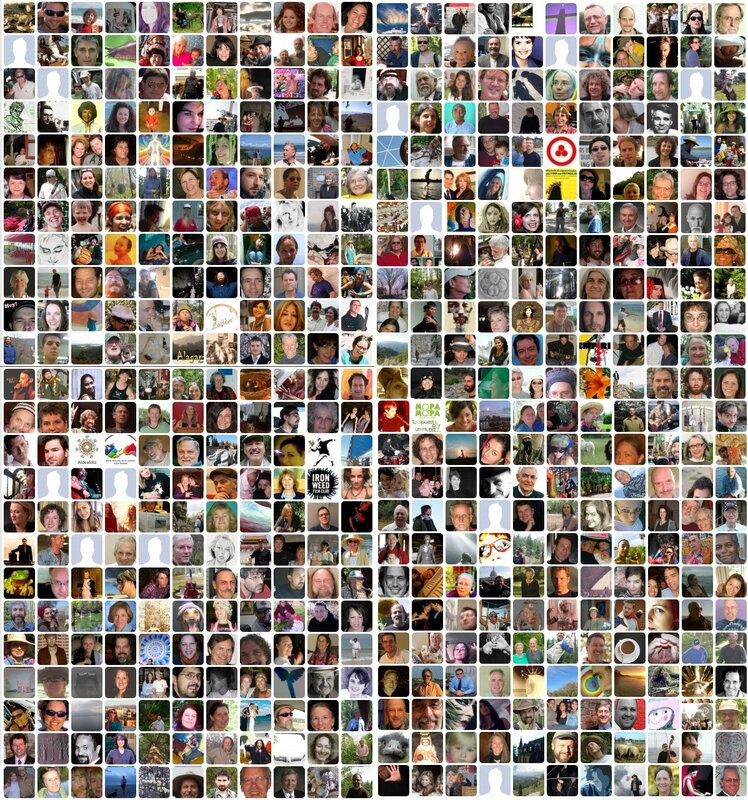 I would like to show it to my Transition group. 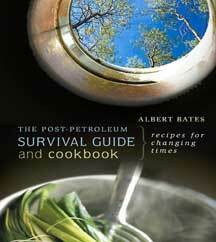 I'm looking for practical information on biochar concrete recipes. 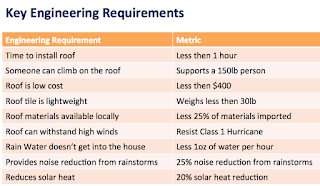 Hoping to build with a lightweight concrete system similar to that outlined in Christopher Alexander's A Pattern Language, where he's using 40 pound per cubic foot lightweight concrete made with vermiculite, which I'd like to replace with biochar if possible. Looks like you've done lots of experiments with mixes - is there somewhere I can look at the results of these, and do you have any thoughts on a lightweight mix ratio?